Is there a better alternative to OfficeSalvage? Is OfficeSalvage really the best app in Backup category? Will OfficeSalvage work good on macOS 10.13.4? OfficeSalvage... Undelete your office documents from your Apple Mac computer. Recover files and rescue data from corrupted or damaged OS X hard drives. Retrieve data from formatted or initialized devices... If you've lost data and you need to get it back, OfficeSalvage is your best choice for getting it back. 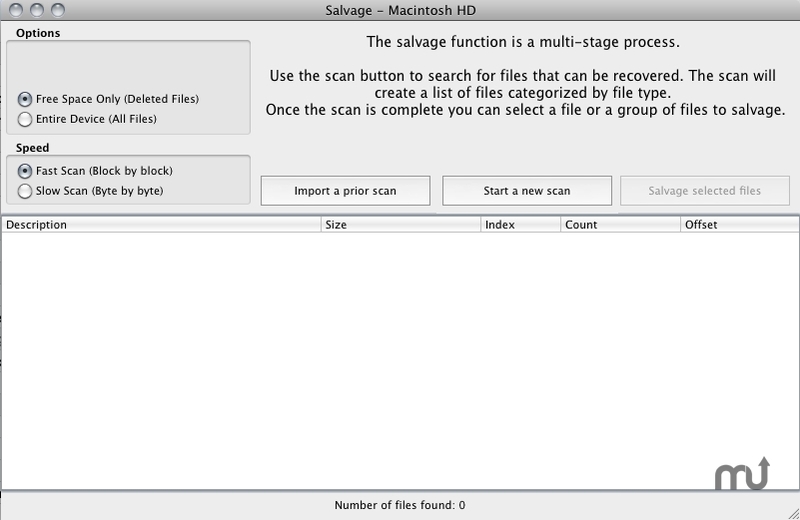 OfficeSalvage is the ultimate Mac OS X tool for data recovery. OfficeSalvage recovers deleted files, damaged or missing volumes and even formatted disks. Full Mac OS X 10.6 Snow Leopard compatible. Faster and more robust data recovery engine. OfficeSalvage needs a review. Be the first to review this app and get the discussion started! OfficeSalvage needs a rating. Be the first to rate this app and get the discussion started!